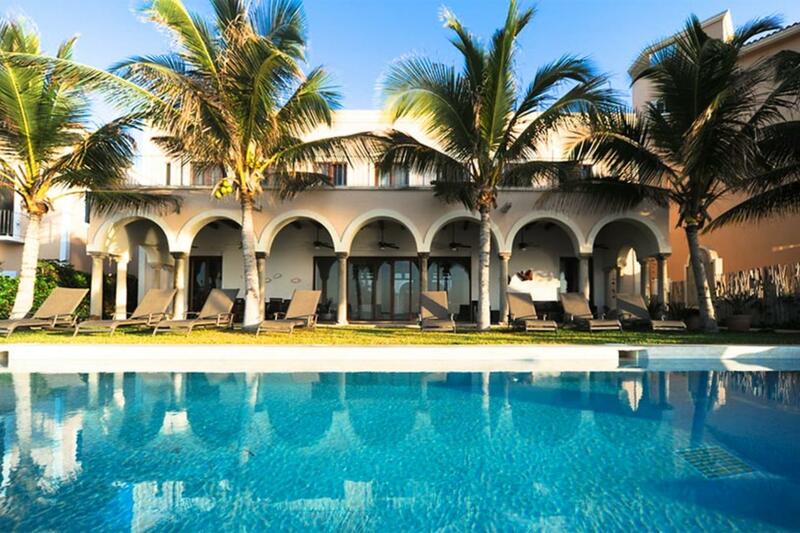 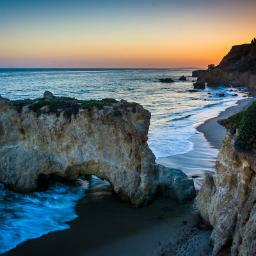 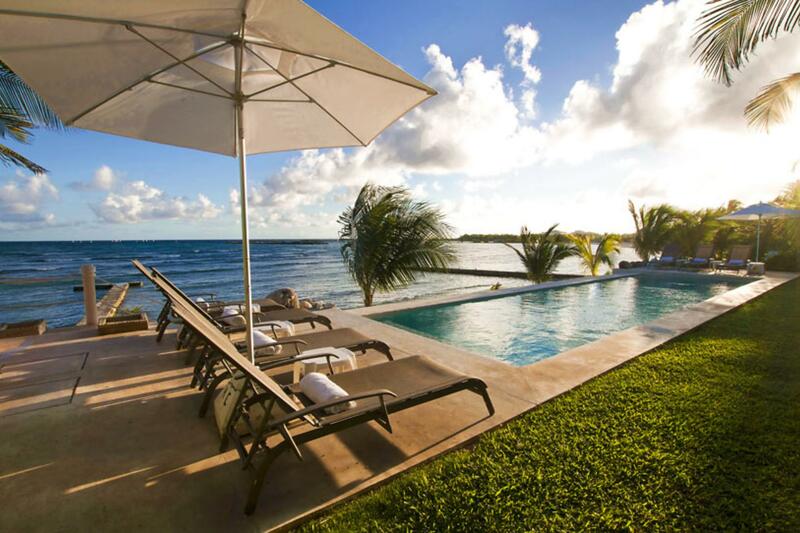 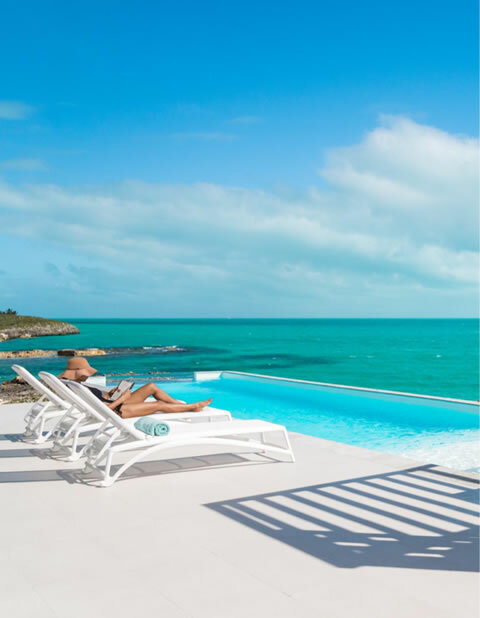 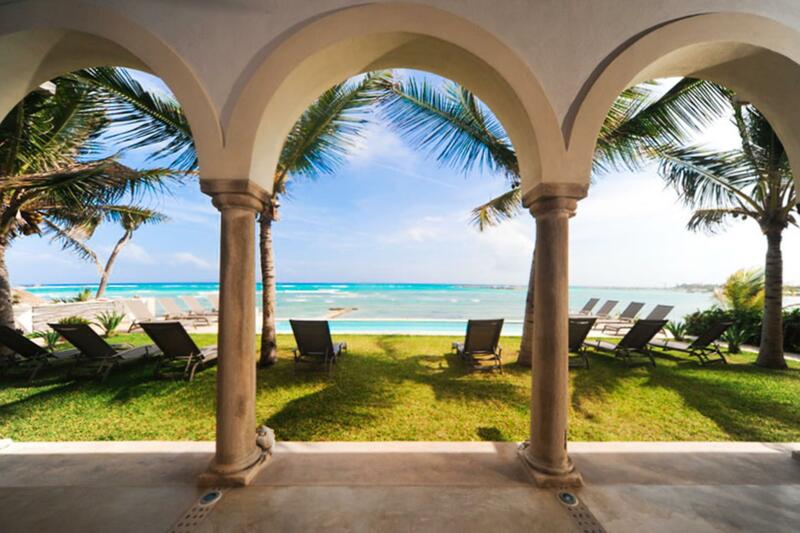 Hacienda del Mar is a luxury villa that provides 10,000 square feet of paradise set right on the sands on Fatima Bay. 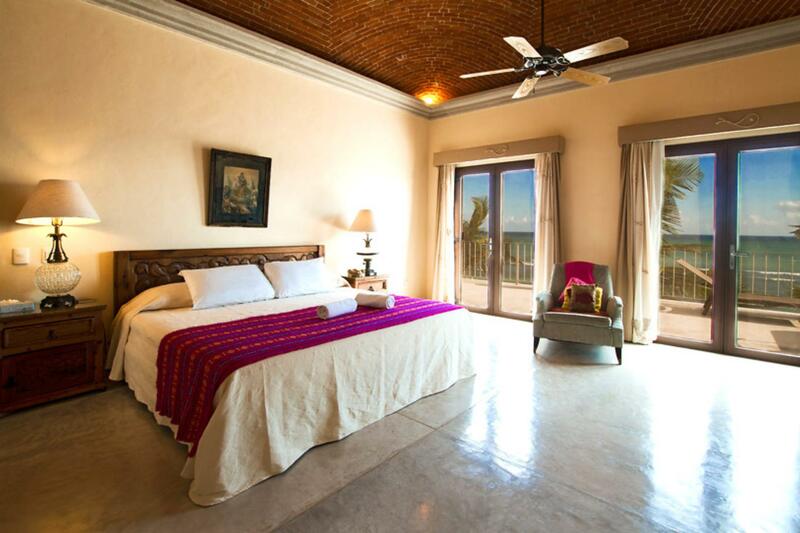 With both a main villa and a smaller home (or casita), this grand estate features ten bedrooms and a den to comfortably accommodate twenty-two guests. 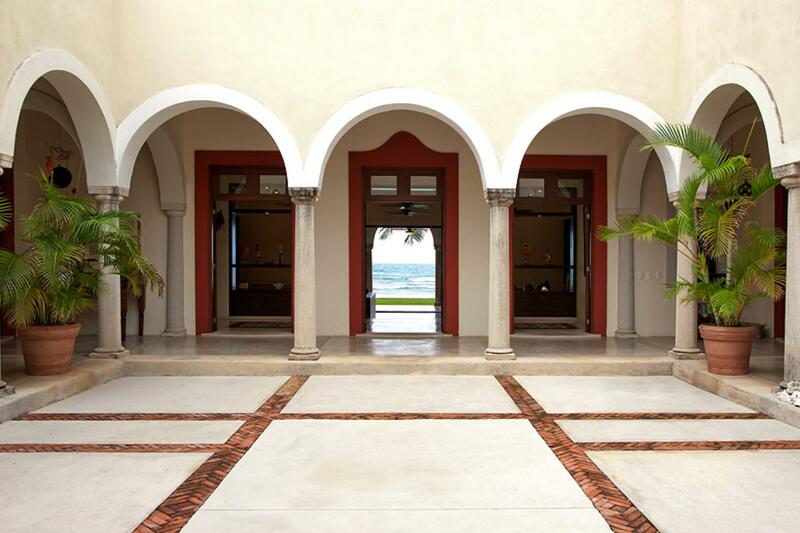 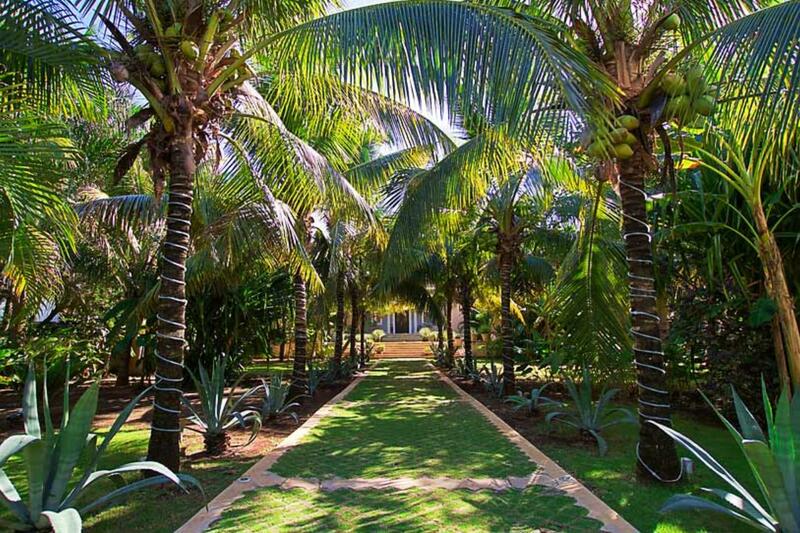 With so much space, Hacienda del Mar is the ideal vacation home for family reunions, wedding parties, and company retreats. 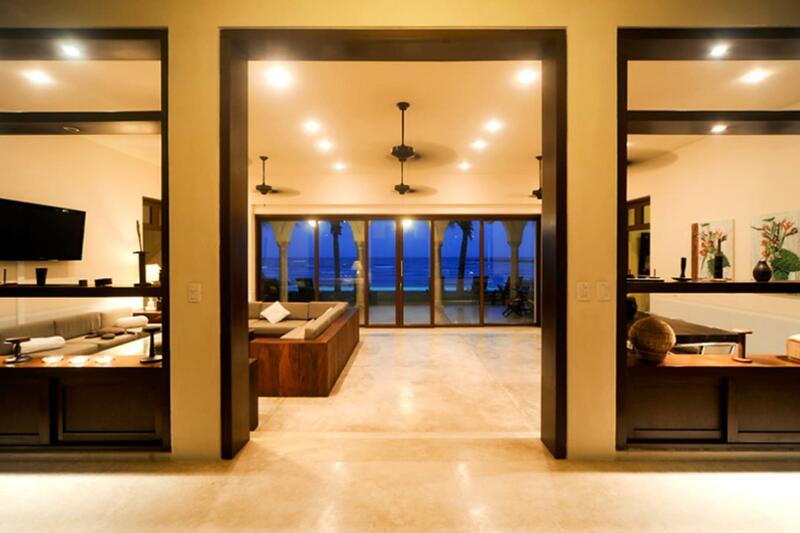 Large windows and entrances offer an open and welcoming ambiance to the villa. 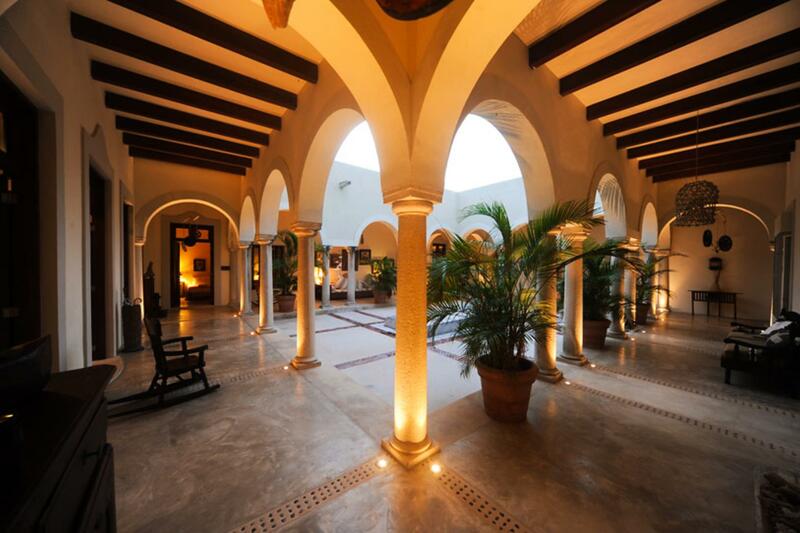 The Spanish arches stand high and wide all over this property, and the open-style design create a sense of unity between the villa's interiors and its surrounding natural elements. 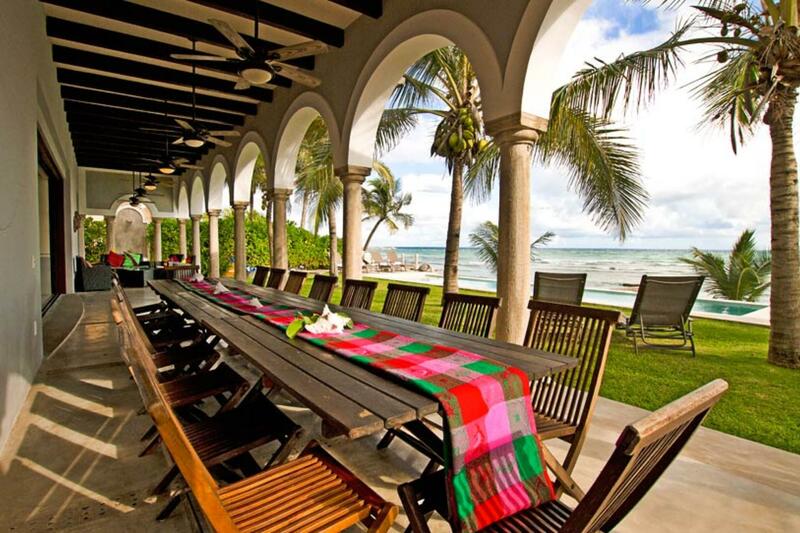 Enjoy an al fresco dinner on the outdoor dining area, or relax on the patio's sun loungers while friends and family take a dip in the pool. 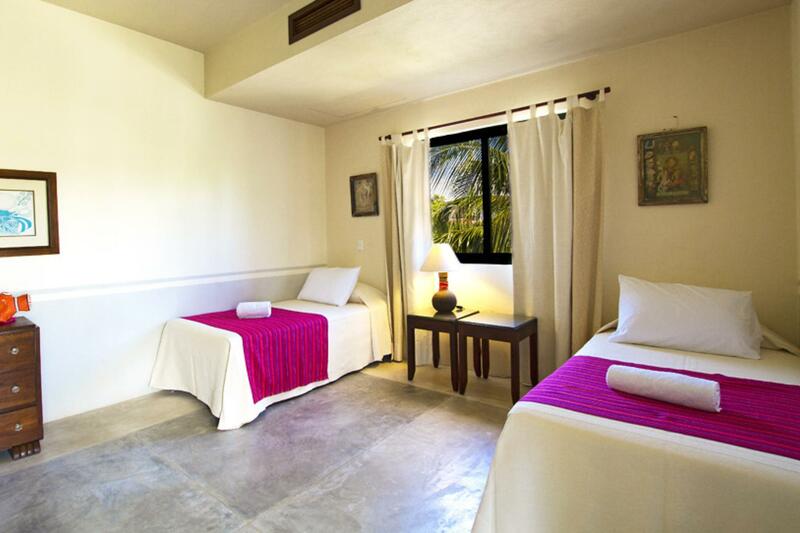 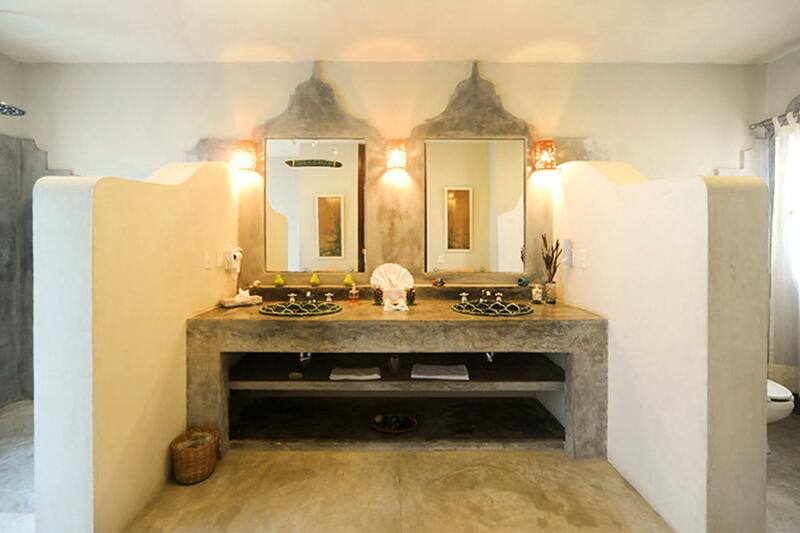 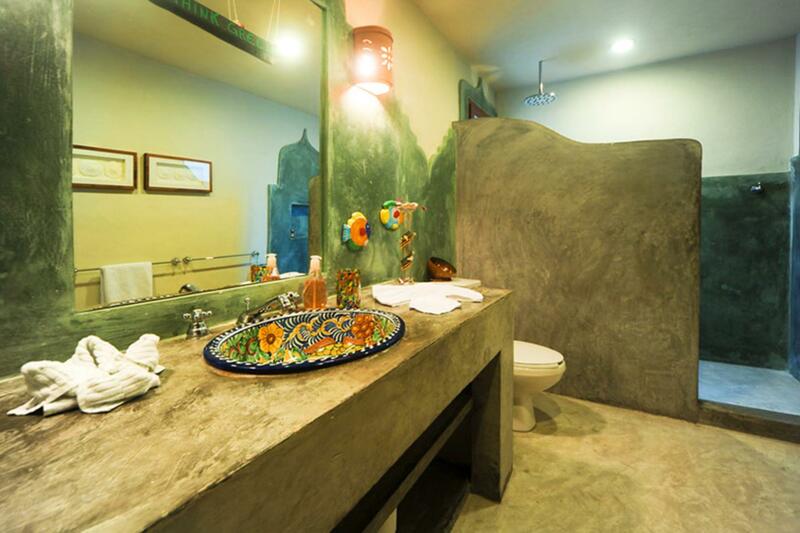 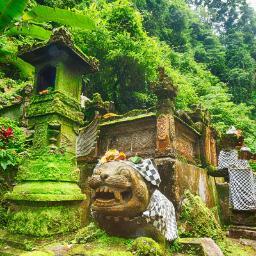 Native Mexican art and d�cor pay homage to this distinctive and blissful location. 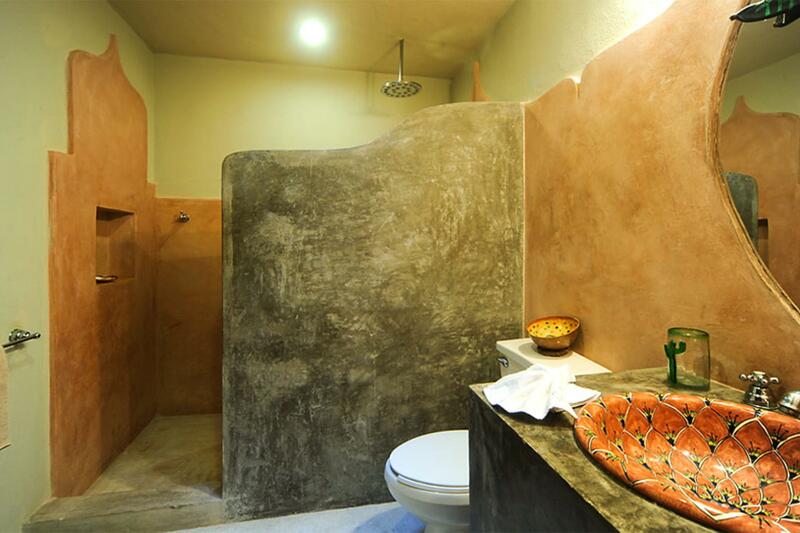 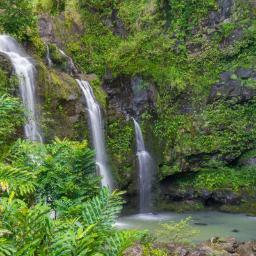 Four fully air-conditioned guest suites offers full baths. 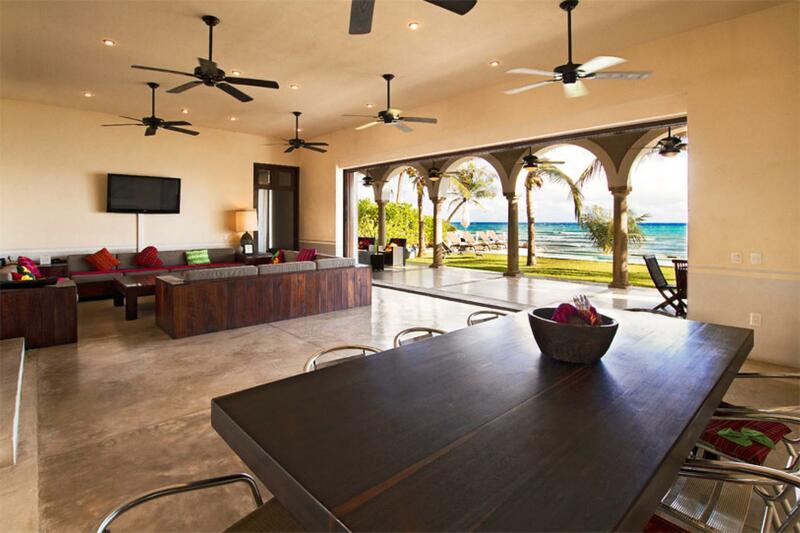 On the upper level, guests will find three king suites that offer access to a large oceanfront terrace. 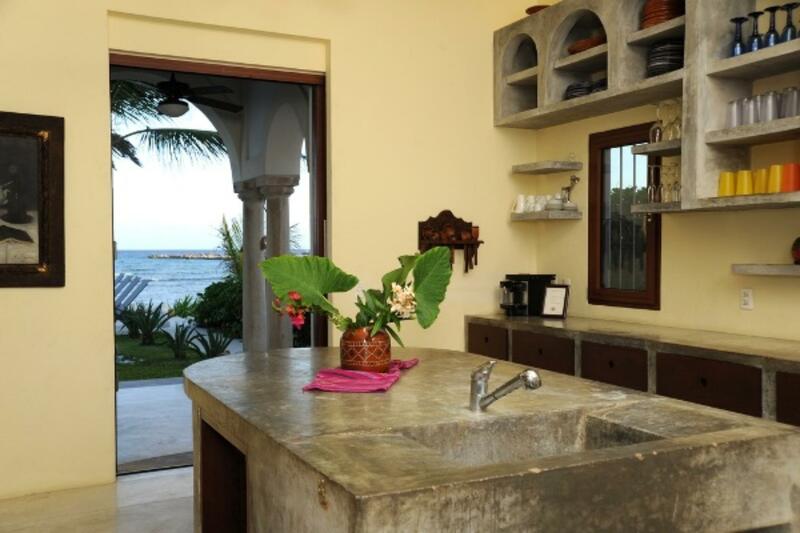 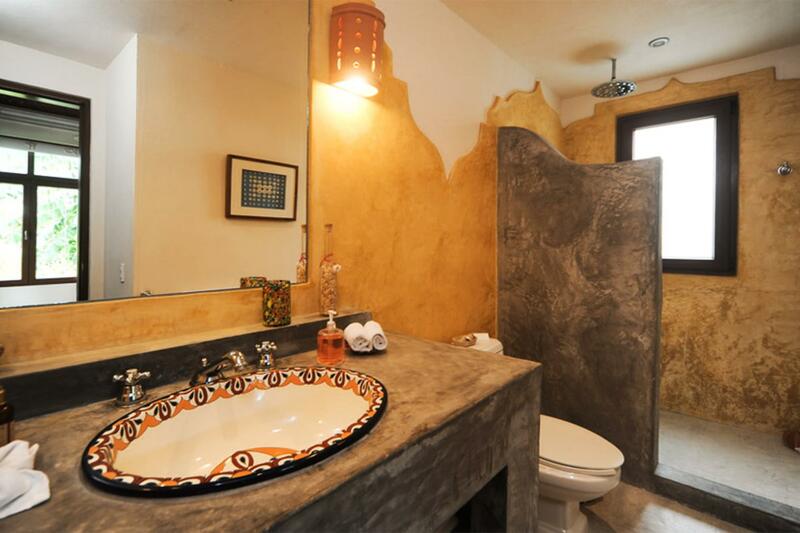 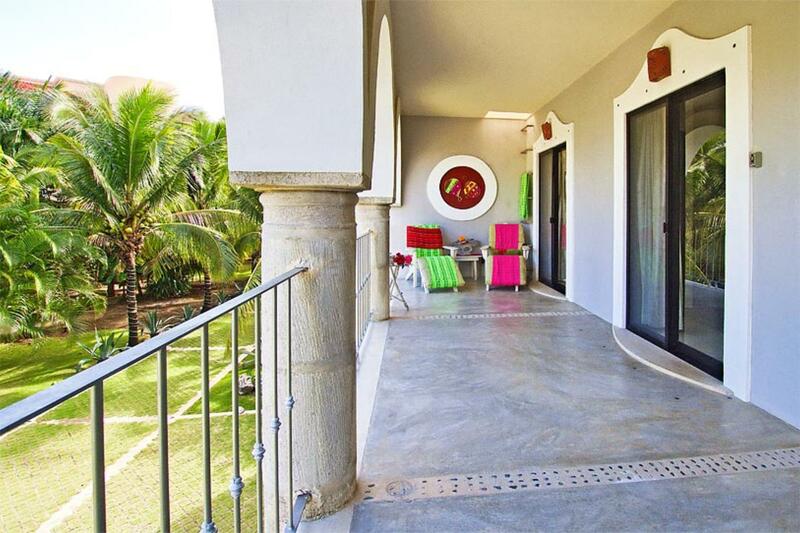 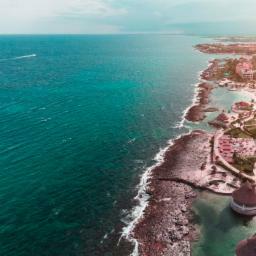 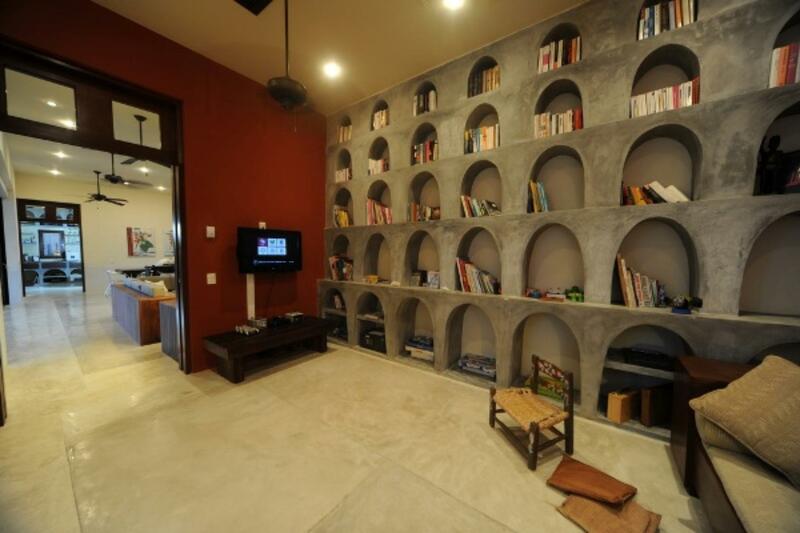 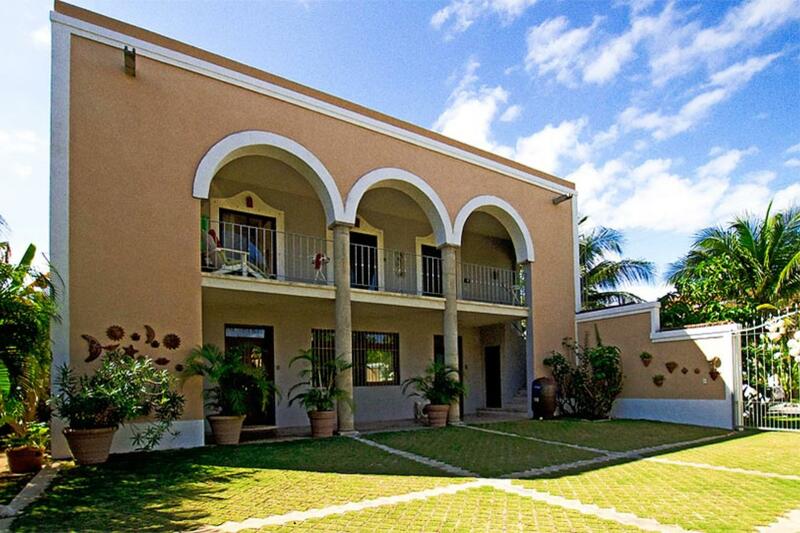 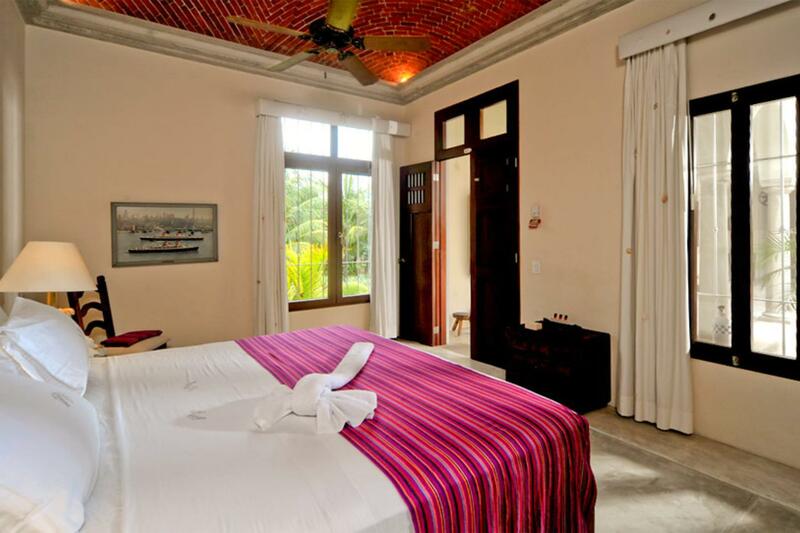 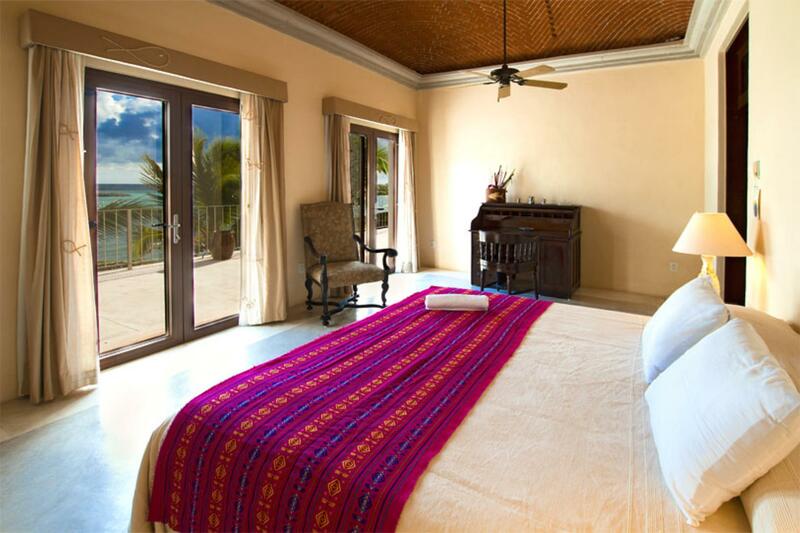 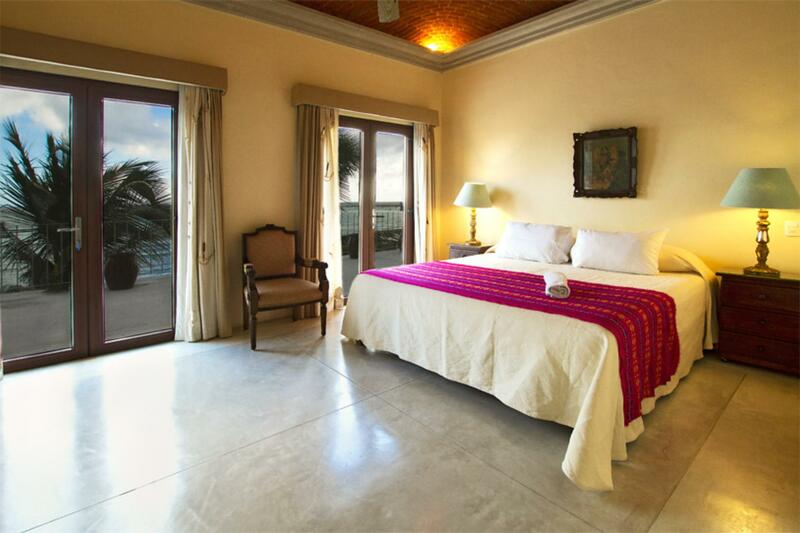 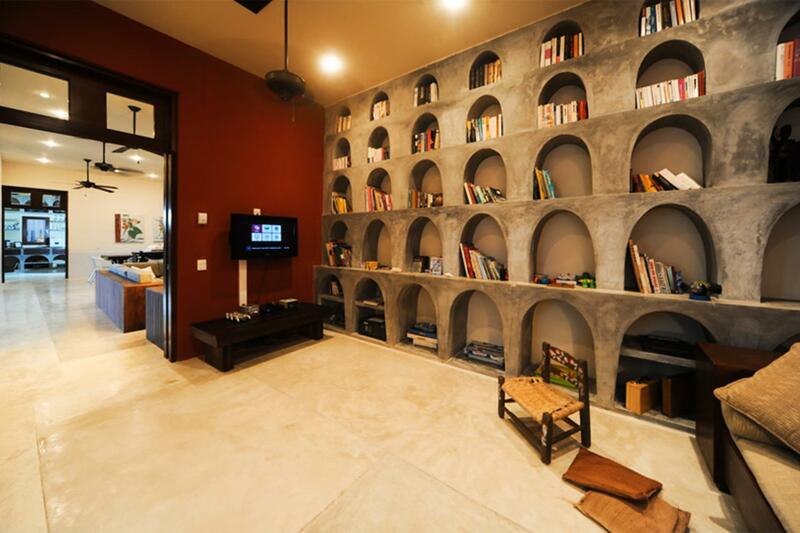 This beautiful home is quite near Puerto Aventuras. 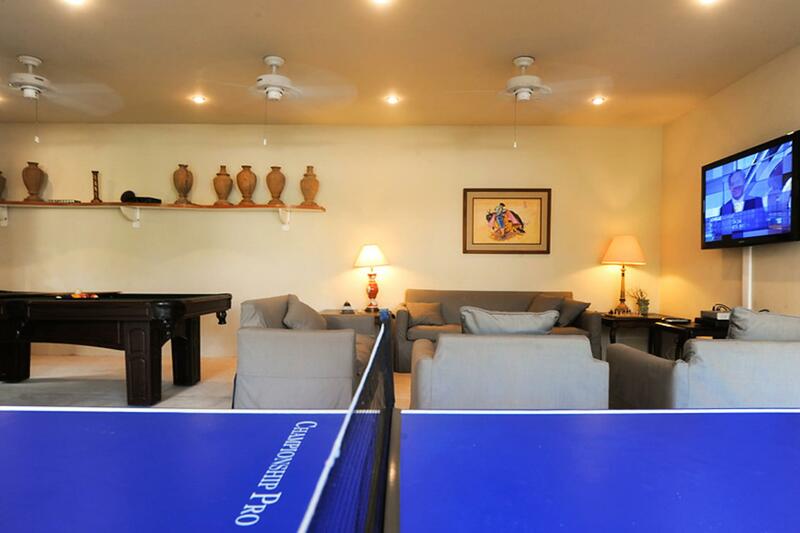 Guests are afforded access to a variety of amenities there, including a golf course, restaurants, boutique stores, and tennis courts. 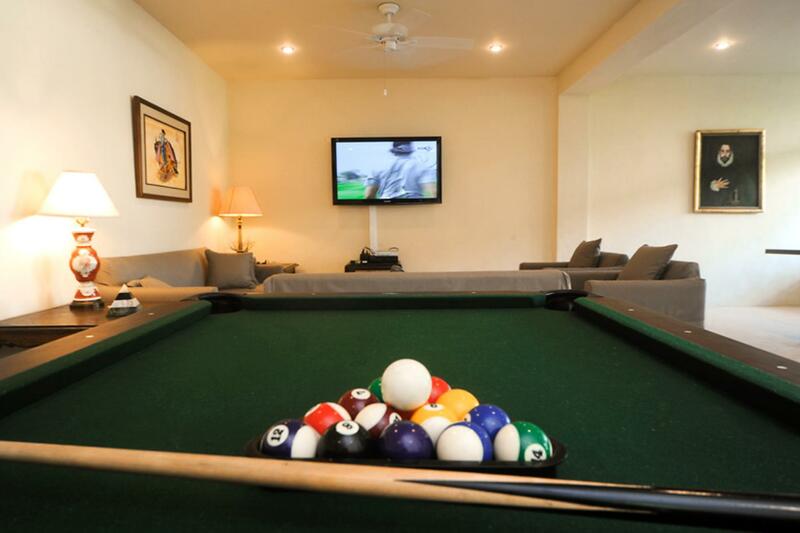 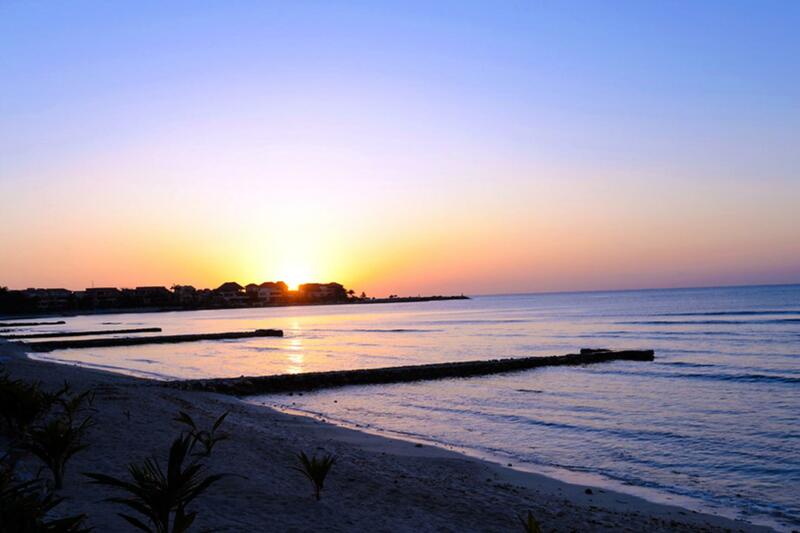 There is no shortage of activities to complement your stay at Hacienda del Mar. 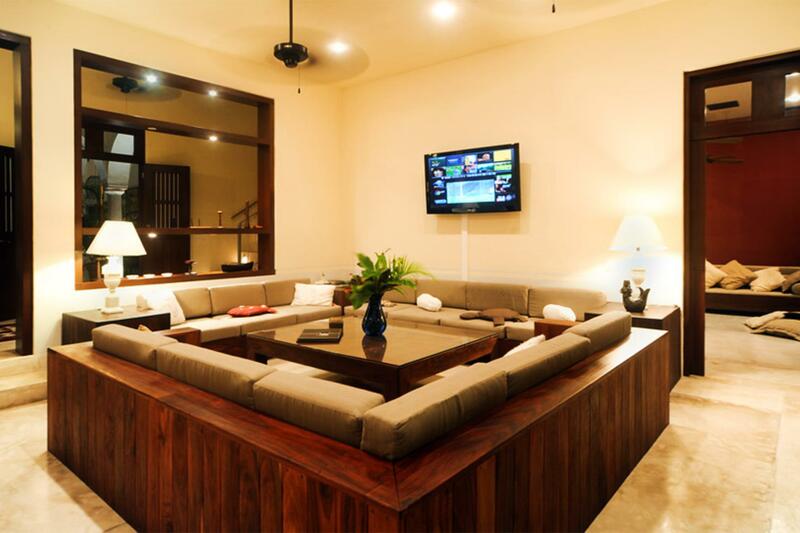 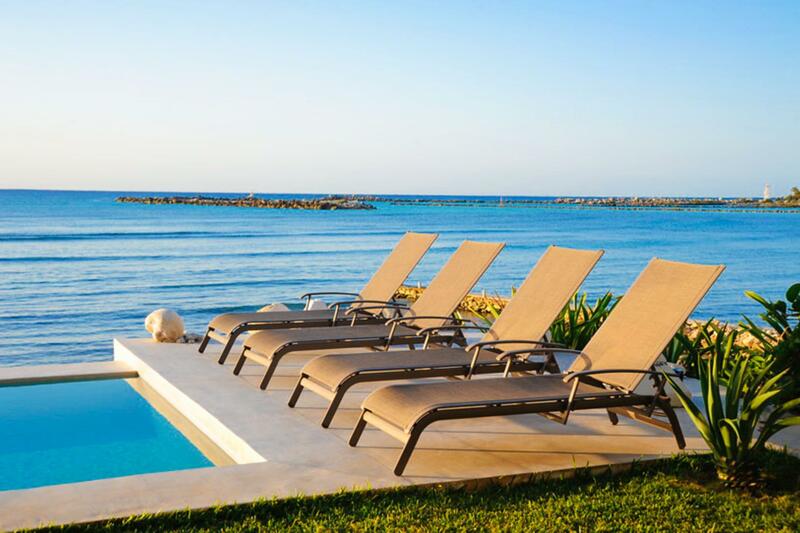 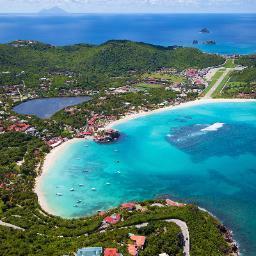 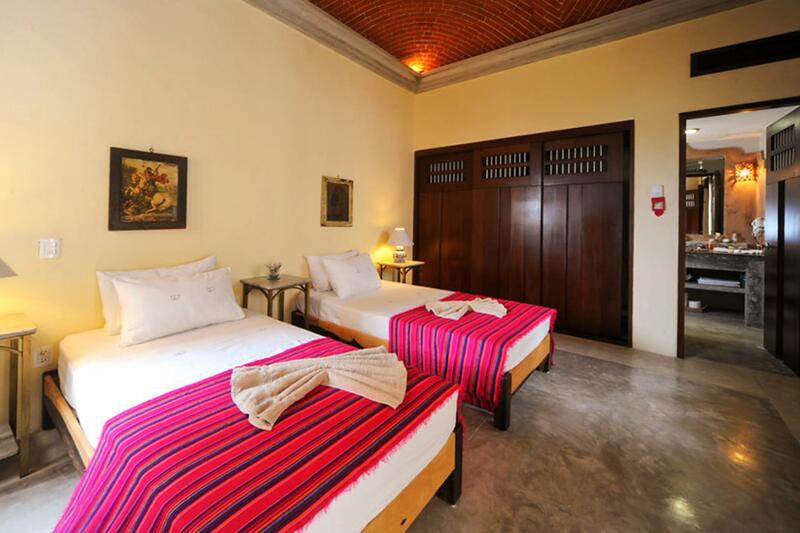 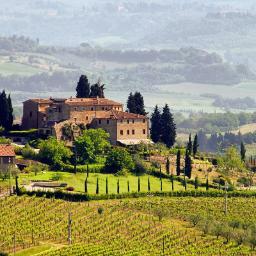 Book a stay at this luxury villa with Villaway, and find the best deals for your vacation!